Lebanon is infamous for the horrible state of its internet. Yet, the tiny country is home to more than 1,500 ICT startups. 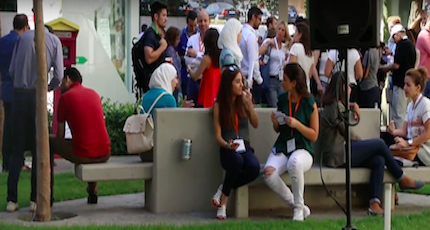 How did Lebanon, which is better known for political instability and government gridlock, become a hotbed of innovation? Mouhamad Rabah, general manager of Beirut Digital District (BDD), sheds some light on how the cluster he's been building for the past couple of years is meant to support the Lebanese entrepreneurial ecosystem. Rabah discusses how entrepreneurs in Lebanon face challenges that range from access to talent and investment, to government, bureaucracy, and weak internet and infrastructure. "The educational system needs to be reshaped and reworked to be able to prepare students for entrepreneurship," he says. Rabah notes that BDD aims to create the ultimate business environment with added-value services and technical support. Additionally, BDD aims to optimize the time entrepreneurs and their teams spend at their offices with shared spaces like a gym, a cafeteria and meeting rooms. "Every element we have in BDD is meant to bring an added value to the community." 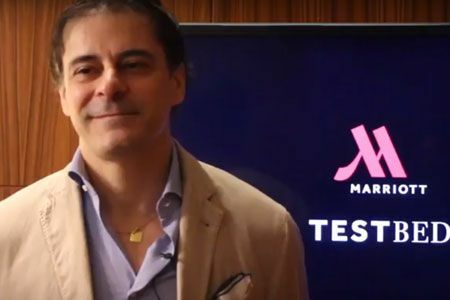 Watch the video to also get a sense of what entrepreneurs like Omar Christidis, CEO of ArabNet, Walid Abd El Rahman, managing director at MIT technology, and Jad Berro, founder and CEO of Innovo have to say.